Conference Banquet on Tue, June 12th, 8 p.m. 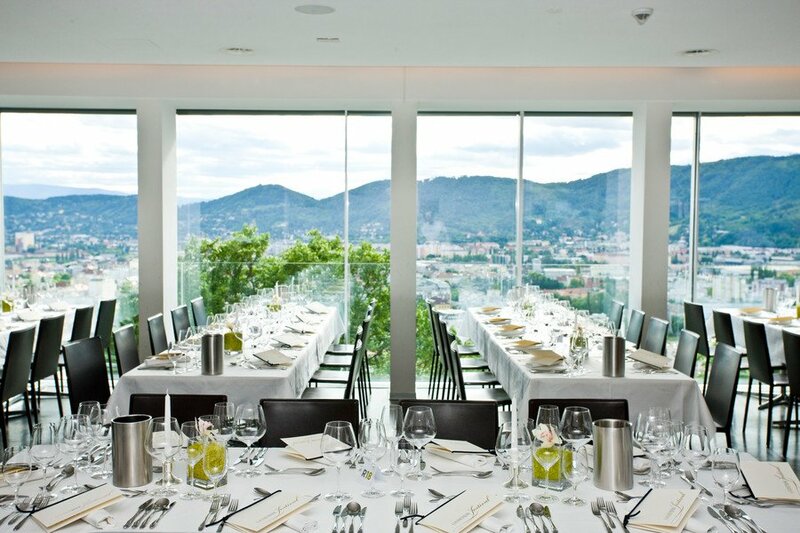 The banquet will take place at a prime restaurant located on a small hill in Graz: the Schlossberg Restaurant. Use this google maps link to navigate to the banquet location. Note, a ride with the cable car “Schloßbergbahn” is included! More information to be available here soon! Cable Car Ride to "Schlossberg Restaurant"
You can easily walk from the main square to "Schlossbergbahn Talstation". The transport is free on June 12th (evening) with the Banquet ticket and the keyword FOR THOSE REGISTERED TO THE BANQUET. A list of recommended cafes and restaurants in Graz is available HERE. There is a number of vegetarian/vegan restaurants in Graz City Center, see THIS PAGE.